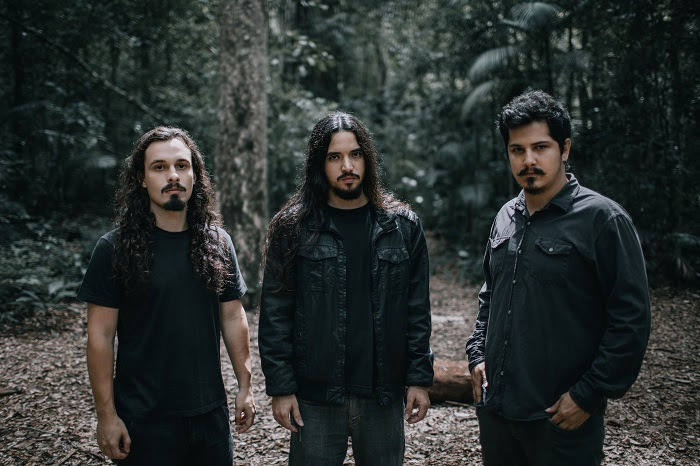 Brazillian progressive death metal band PIAH MATER are now streaming "Solace In Oblivion", a new track from their upcoming album The Wandering Daughter which is being released this Friday. 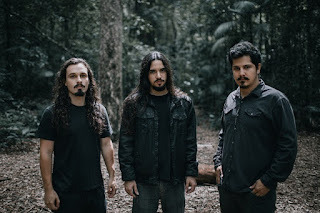 The band commented "The lyrics for Solace in Oblivion depict the relationship between humans and nature in its most menacing, adversarial and primeval form. They talk about a “strangling forest” and the feeling of sinking down in a “mat of leaves.” I knew that the video to go along with the music should convey those bare emotions – the sense of being slowly engulfed by roots and vines until the spectator becomes one with the wild. A bold mission statement considering this is a 12-plus minute song. Our budget did not cover Lars Von Trier directing fees so we went with this animation approach instead. In my eyes it made the song justice, I quite enjoyed watching it." Watch the video here: https://ninecircles.co/2018/10/02/premiere-piah-mater-solace-in-oblivion/.